Many have claimed that Real Madrid, with Ronaldo as the top scorer, in a one man team. Barcelona is believed to be very reliant on Lionel Messi. Can one man really lead the entire team to victory? If both teams consist of just 1 player, who will emerge victorious. Is Lionel Messi really better than Ronaldo? Unlike basketball, we can’t have a 1-on-1 match in soccer. 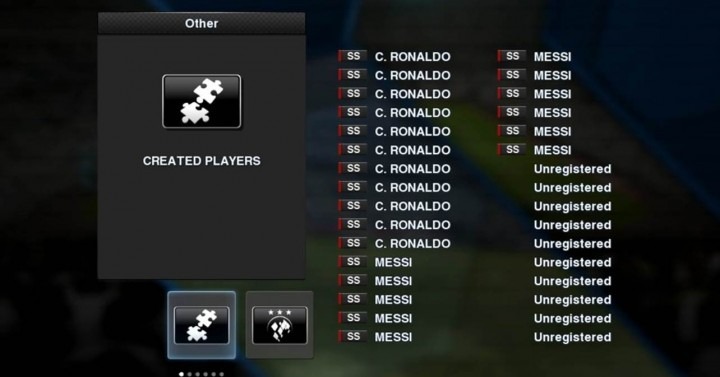 But what we can do, at least in PES 2013, is to have 11 Ronaldos, take on 11 Lionel Messis. And that is what I have done. First, I went to EDIT mode, created a player, and used Base Copy to import Ronaldo’s data into the new player. I duplicated 15 more Ronaldos. The same process was done to create 16 Lionel Messis. Next, I removed all the players from Real Madrid and Barcelona. They have to be removed to prevent the AI from substituting them into the match. 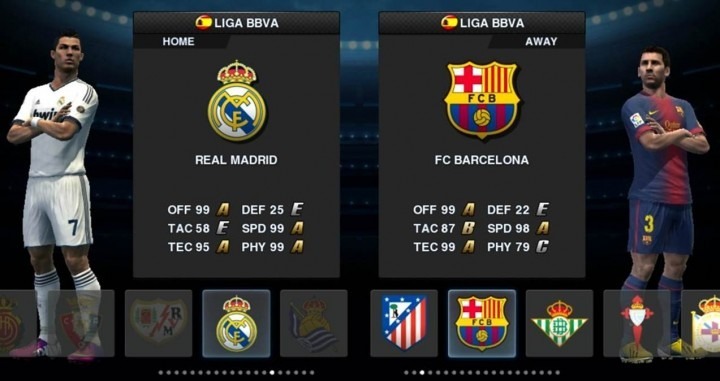 I added the created Ronaldos into Real Madrid, and Messis into Barcelona. 17 Ronaldos and 17 Messis are now in Real Madrid and Barcelona respectively, giving each team 11 outfield players and 6 substitutes. 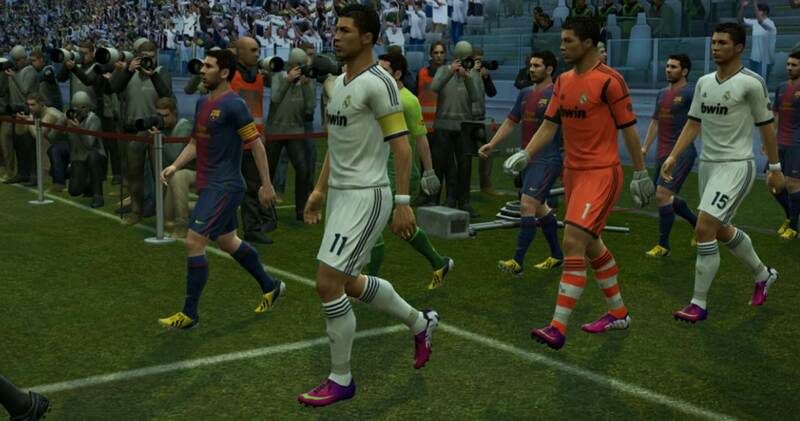 Team ratings are now solely the ratings of Ronaldo and Messi. Difficulty was set to Top Player. Both players are given top condition (red arrows). Stadium was set to ensure that none of the teams are given any home advantage. Formation and tactics of both teams were unchanged. I sat back and watch the teams play without controlling either team. 3 matches were played to obtain an aggregate score. The commentators were chanting ‘Messi’ or ‘Cristiano Ronaldo’ every time passes were exchanged. Team Ronaldo is physically stronger, and is able to win most air balls and physical challenges. Team Messi exchange passes more frequently, possess more speed, and tends to dribble more. Naturally, both goal keepers are bad, and there are some howlers in the penalty box. Goals were scored from dribbling moves, neat passing, and from crosses. Watch the video below for all the goals and actions.